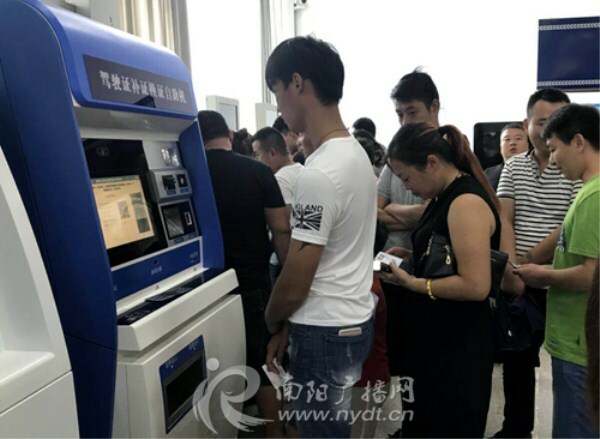 Nanyang's first self-service machine for driver licenses was launched at the Dushan Department of Motor Vehicles (DMV) to promote all-in-one service in traffic management. 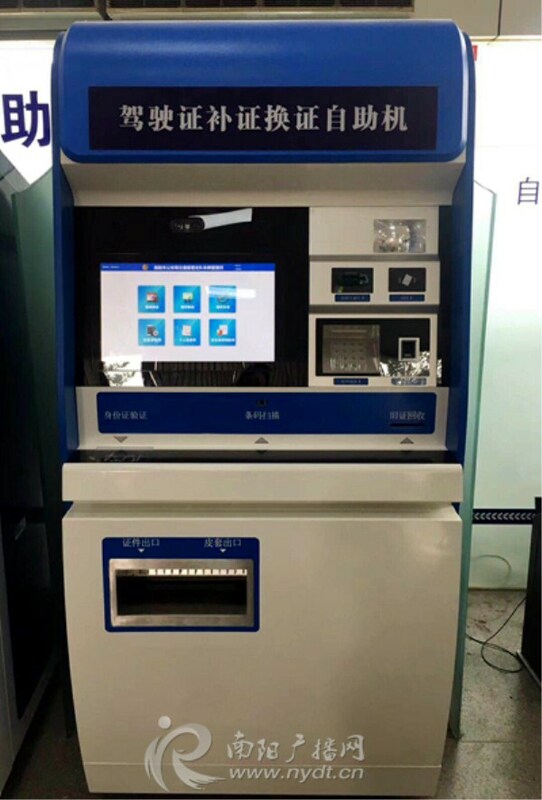 The self-service machine can automatically collect, register, check and issue driver's licenses within five minutes through face recognition and data sharing. Relying on big data platforms, the self-service machine can handle different processes for drivers, including driver license inquiries, contract information changes on driver licenses, driver license replacements, driver license renewals, vehicle inquiries and contract information changes for vehicles. However, some conditions need to be met in order to use the self-service machines. People must come to the DMV in person with their ID cards to deal with things related to a Nanyang driver's licenses or Nanyang vehicles. The process requires fingerprint verification and photos, so somebody else cannot complete the process for them. In the future, two other machines will be put into use at the Administrative Service Center on Fanli Road and the DMV on South Xuefeng Road. Jade carving and roses will have no apparent connection with each other until Nanyang brings them together.